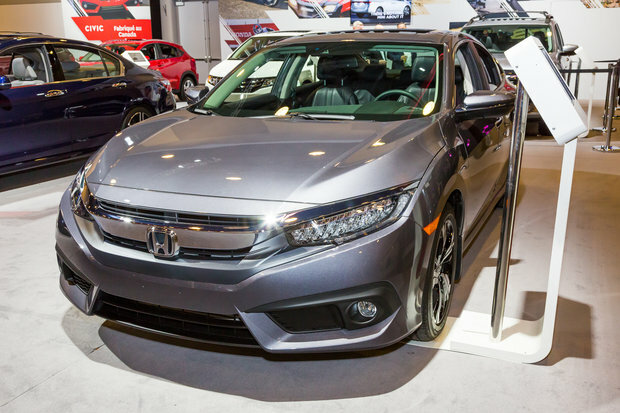 The Honda Civic has been, for nearly two decades, the best-selling car in Canada. 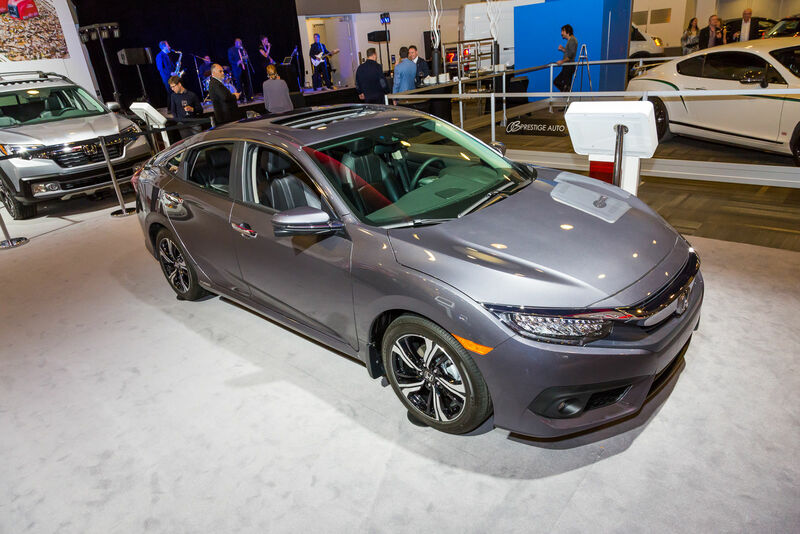 It is with this enviable success and two Car of the Year titles -- for both Canada and North America -- that the 2016 Civic finds its way onto the floor of the Ottawa Auto Show. 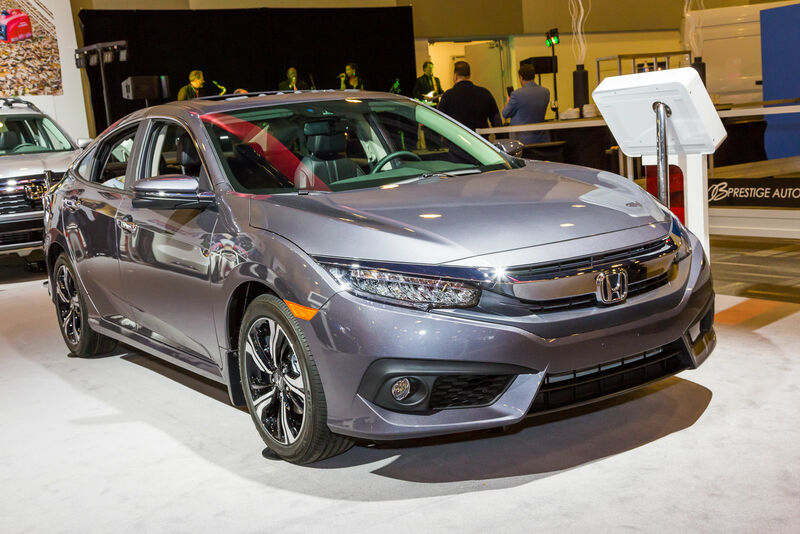 Thoroughly redesigned from its tires to its roof, the 2016 Honda Civic offers increased performance and safety, but still showcases its trademark comfortable and poised ride, along with exceptional reliabilty. 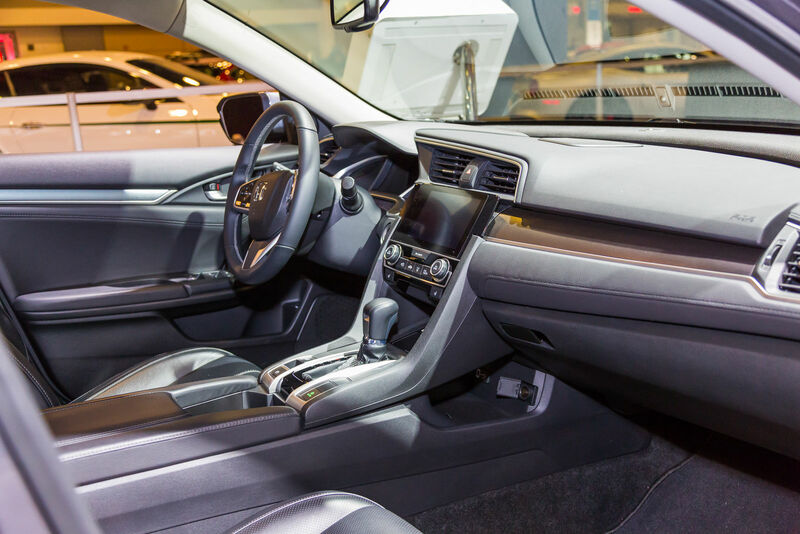 Thus, the new Civic benefits from a new chassis featuring greater rigidity, which helps make the compact sedan more dynamic and fun to drive than ever. 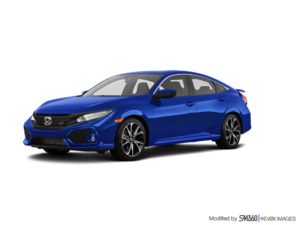 To maximize the potential of this new platform, and instill a sportier look overall, the tenth generation Civic has slightly grown and is now wider and longer, while also being lower to the ground, giving the driver a sportier driving position. 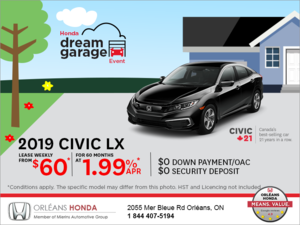 In terms of style, the Civic is now more noticeable than ever on the road, and one easily recognizes the new Honda with its sloping hood, a sleeker grill and various LED lights all over the vehicle. The rear has also been considerably modified, and now features distinctive C-shaped lights. 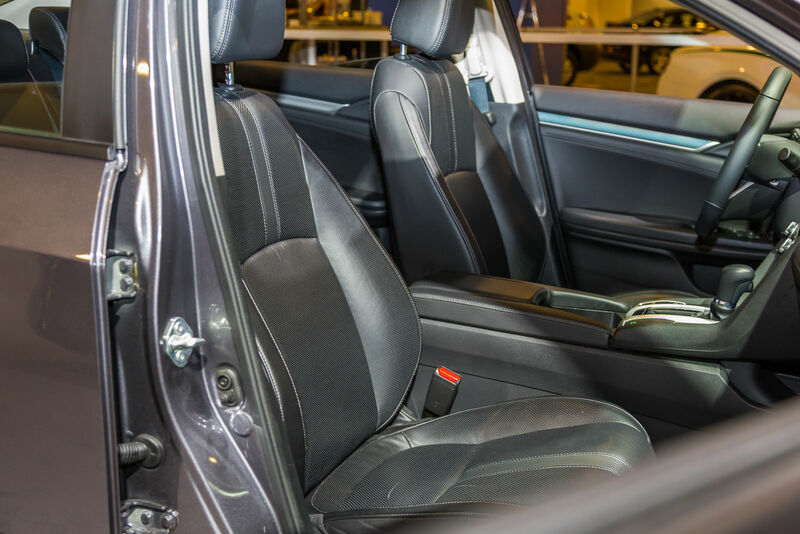 The interior of the Civic has also been completely transformed and now offers a new instrument panel, dashboard, and overall layout that certainly stands out compared to the competition. The real find, however, are the two engines offered with the Civic, a 2.0-liter 4-cylinder version with 158 horsepower and 138 lb-ft of torque that is under the hood of the DX, LX and EX trims. More powerful than the outgoing engine, it is also more fuel-efficient with a combined fuel economy rating of 6,9 liters per 100 kilometers. 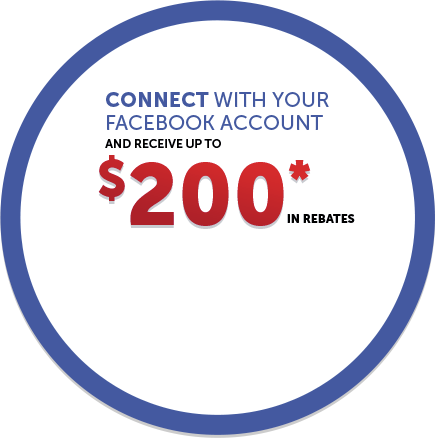 It can be mated to a six-speed manual transmission or a continuously variable automatic transmission. The second engine, available in the EX-T and Touring versions, is a new 1.5 L turbocharged engine that develops 174 horsepower and 162 lb-ft while being paired standard with a continuously variable automatic transmission. Despite the added power, the turbo engine is as fuel-efficient as the base engine. This year, the Civic will get plenty of other versions, including a Coupe, a hatchback and the very sporty Type R model. 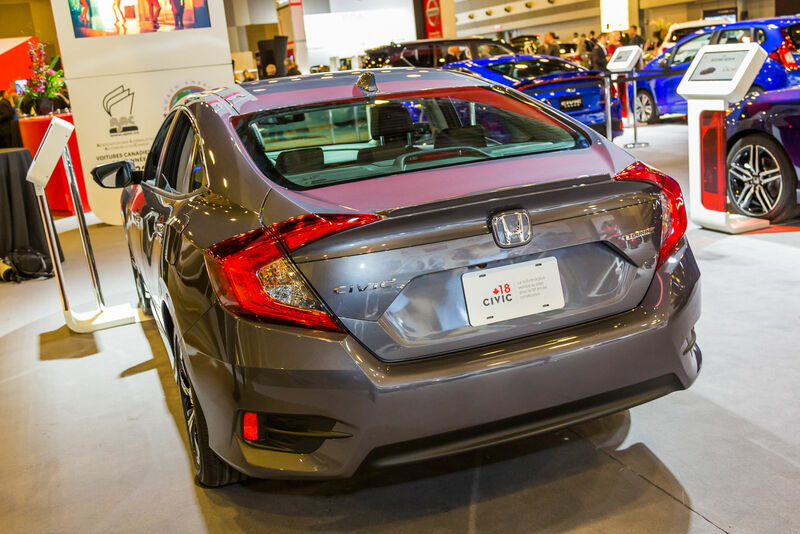 Come see the 2016 Honda Civic at the Ottawa Auto Show today!